Chicago Pop Punk has flourished in the last decade, and Homesafe have certainly added their twist with their second album ‘One’. 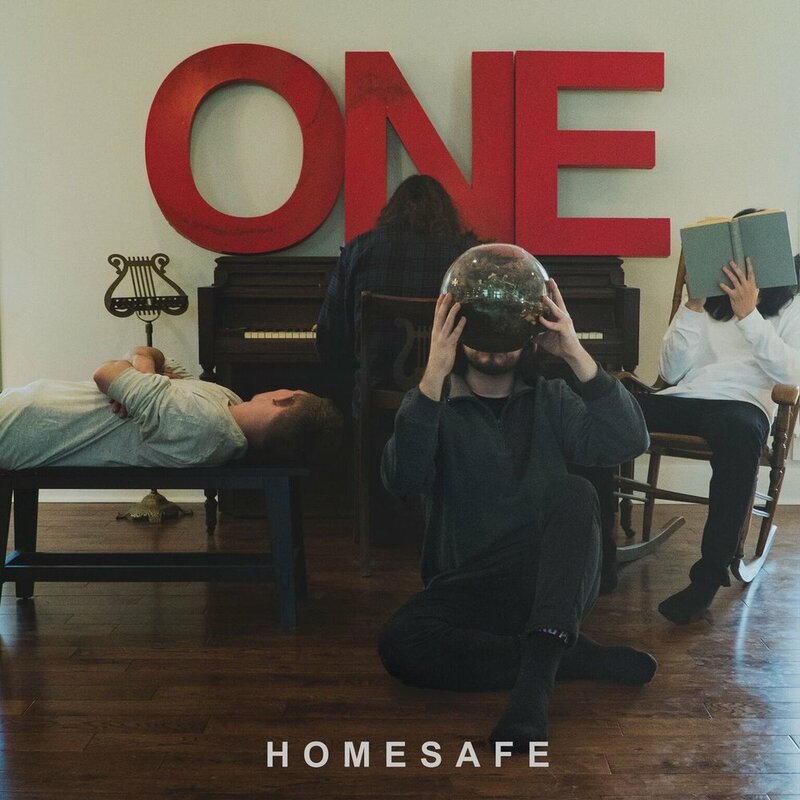 Growing up in the local pop-punk scene, the bands previous album ‘Evermore’ and two EP’s showed plenty of influence from their surroundings, but ‘One’ is a real step up for Homesafe who aren’t scared to show their views on the world outside of their comfort zone, and have most definitely found their voice. ‘Point Blank’ opens the album with a fiery bright, punchy punk tone, surely showing the bands old rock influences from the 90’s, blending it smoothly with the superb pop-punk sound you would recognise throughout Homesafe’s back catalogue. Track 2 ‘Run’ is absolutely no exception to this with its buoyant chorus and threadbare attitude. Beautifully balancing the album, ‘Sideways Sleeper’ starts to bring the album to a close with a wonderful slow ballad, noting that the guys really are not afraid to show how far they’ve come musically as group since their self-titled EP ‘Homesafe’ back in 2014, before finishing with aptly named ‘fin’, a calm piano piece that we really hope fans won’t be skipping before they give the record another spin.